20 percent off and FREE shipping! 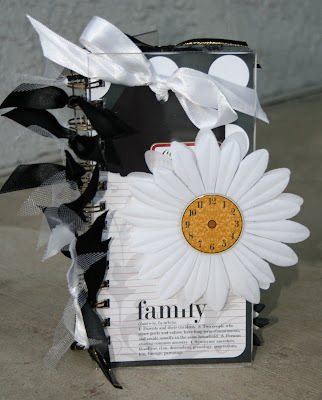 Maybe you're one of the ones watching the college basketball games... or maybe you'll be one of the ones to use the time away from the hubby to scrapbook! If you're the latter, get your supplies now! 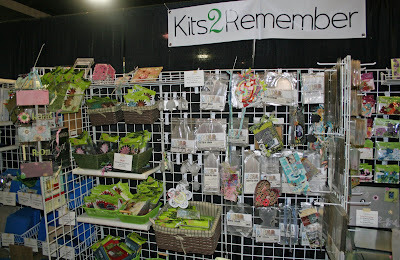 Kits2Remember is happy to offer you 20 percent off your entire order at the store through Monday March 2 at 5 p.m. CST. Just use promo code madness20 when you check out. And if you spend $75 or more (before taxes and after frequent shopper point discounts) you'll get free shipping anywhere in the continental U.S.! So start shopping now! 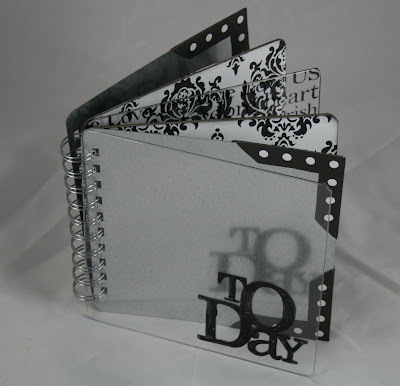 Don't forget to check out our new metal and acrylic panel sizes, or our project kits on sale! 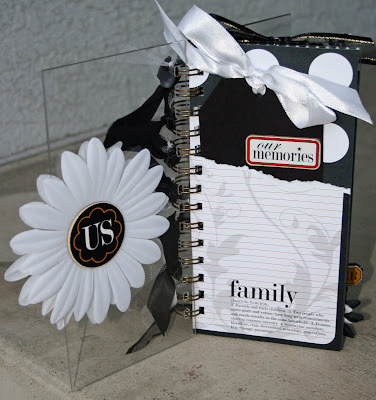 This is also a great time to stock up on your favorite acrylic, chipboard and metal sizes! Note: March Madness discount applies to new online orders only and must be used at the time the order is placed. Shipping charges will be removed from your order when the order ships. 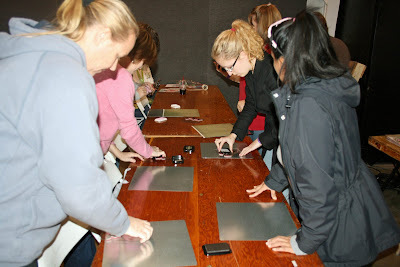 The group on the SoCal 2 Provo Bus Tour to CKU Provo this summer were the first "civilians" to get a look at the YuDu, an inexpensive, do-it-yourself screen printing system developed by ProvoCraft, a company famous in papercrafting circles for the Cricut system. The YuDu has since been released at the Craft and Hobby Association show in January in Anaheim and JoAnn's actually has it on sale this week for about $200. You might be thinking, "You call that inexpensive?!" Well, yes, when you consider the alternative machines out there are thousands of dollars. My parents actually have one of these expensive systems collecting dust in their garage, but I have never used it, so I am new to screen printing. A handful of us on the bus tour were selected to receive a YuDu system free, so we could try it out, inspire others and work out any kinks. Since I had been in California for a few weeks while my YuDu was being shipped to Pensacola, yesterday was the first chance I had to break the YuDu out of its box. I had, of course, seen it months before when the bus stopped at ProvoCraft. 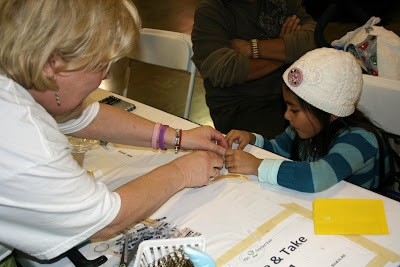 And then again at CHA where I was able to screen print a heart on a black t-shirt. 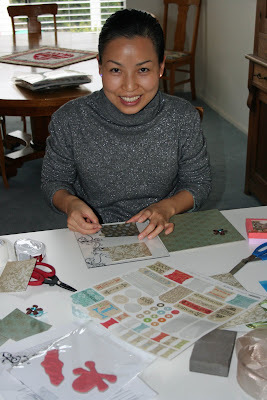 Kimberly from ProvoCraft happened to be one of the demonstrators - she is one of the ProvoCrafters in charge of us YuDu testers/bloggers. I was able to ask her some questions and she was kind enough to give me some pointers. But yesterday was the first time I was going to embark on the YuDu experience from start to finish, all by my lonesome. A little nerve wracking, but I was looking forward to it. I love trying new things and inspiring others in different ways. 2. Prepare the emulsion on the YuDu printing screen. This requires water. I set up shop in my kitchen. 3. 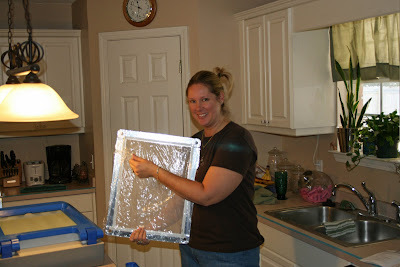 Dry the emulsion/screen in the YuDu dryer. 5. Burn the image into the emulsion screen. 6. Rinse the exposed screen so that the emulsion rises away from the design you exposed. 7. 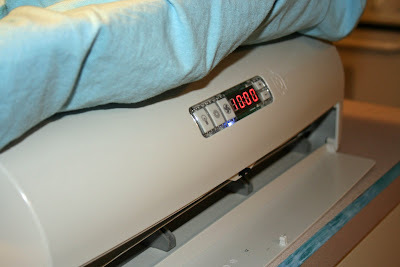 Dry the emulsion/screen in the YuDu dryer. 11. Heat set the ink with an iron. The toughest parts for me? 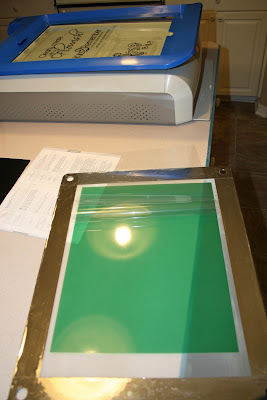 Printing the computer image on the transparency and burning the image in the emulsion properly. The YuDu transparencies are thicker than the kind you can get at an office supply store and my printer liked to eat them. They kept jamming because of the slight curl the transparency naturally had. 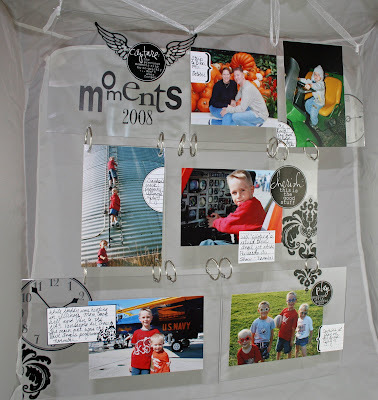 I decided to go for broke and so I broke out my printable transparencies from Avery. I was able to print on them without jamming my printer and they seemed to work just fine for their purpose with the YuDu. As for the emulsion part, you have to be careful to have the screen just wet enough so there are no dry spots and no drips. (Emulsion mess up No. 1) And you DEFINITELY need to prepare the emulsion in a LOW-LIGHT room. I must have missed that statement when I was reading the instructions the first time, so that is how I messed up emulsion attempt number 2. Here is a photo of what NOT to do! But emulsion No. 3 turned out quite well! As a small business owner, I thought that this would be a great way for me to affordably promote my business. 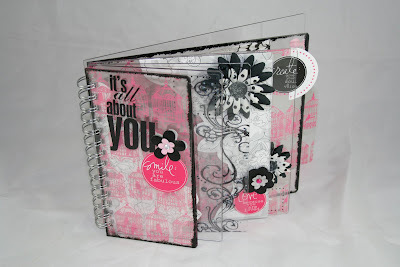 As a matter of fact, Kits2Remember is coming out with it's own flourish rubber stamps that look lovely on non-porous surfaces like acrylic and metal ( mor eon that in a future post!). I plan to launch them at the Pleasanton Scrapbook Expo next month and wanted a promotional T-shirt to wear there. So, I took part of one of our actual new stamp designs and printed it out on a transparency. Then I created a message in Microsoft Word and printed that out on a transparency. Never one to waste materials, I burned both images into one emulsion screen. First I tested it out on the back of one of my T-shirts. I learned how to (and how not to) squeegee the paint properly over the screen. I then took the design to one of my plain bright green t-shirts. 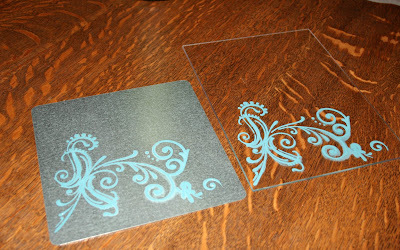 I put the blue flourish designs first, allowing them to air dry before I did the brown message over it. I am letting it dry as I write this, and then I will heat-set it with an iron. Not bad for my first complete project! and I have been planning some more in my head for different walls in my house, I thought I would feature some of my new YuDu-ing on a piece or two. The YuDu did really well on the canvas. So, in all, it took me about a day, off and on between drying times and exposures, housework and "real work" to get the hang of the YuDu, but I feel pretty successful and I am looking forward to my next challenge: Getting a group of men to successfully create something. Thanks to my husband's profession, I have access to a number of marines and sailors, so I'll see of they'll bring over some T-shirts and a design idea to give this a try in the next week or two. I'll be sure to give you the full report once I have it! I am just trying to clean up my scrap studio office. But first, I have to tackle the boys' play room! A Mom's work never ends! A number of you asked how my husband, Rodney, was fairing woth me being gone so long. He faired just fine, although he was pretty tired. 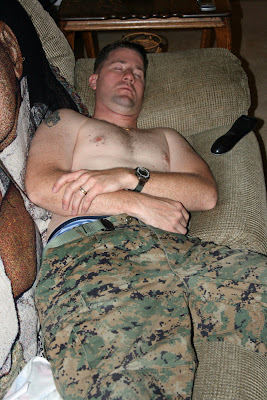 In fact, he came home for lunch yesterday, just to crash out on the couch for 45 minutes. Poor guy! 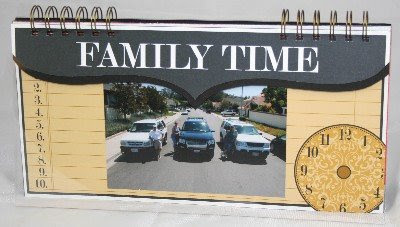 And here's proof that the Orange County Scrapbook Expo inspired at least one new scrapbooker: My sister-in-law fell in love with my class project "Great Times, Good Memories" and just had to create one for herself! 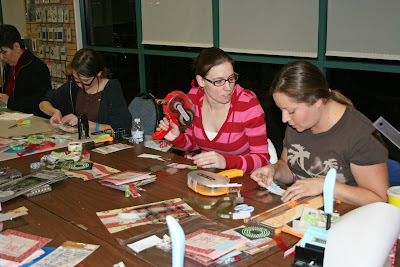 Don't forget that the Bay Area Scrapbook Expo is coming up March 20 and 21. Hope to see you there! 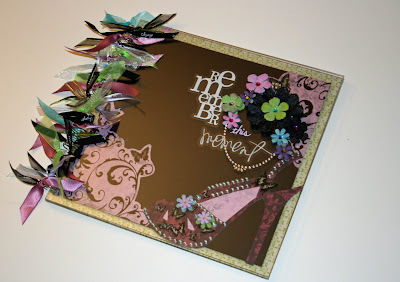 Kits2Remember metal was a huge hit ... we sold out of our new 11 x 14 size, as well as our popular 8 x 12. 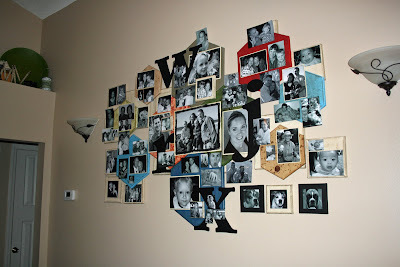 It looks like there will be some great new message board up in people's homes! 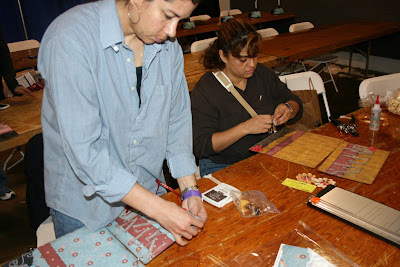 As usual, the make and take table was busy for most of the day. 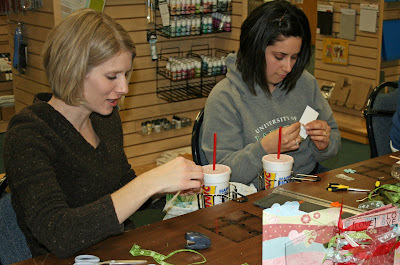 Jen and Cheryl did a fabulous job of teaching people how to use acrylic, rub-ons and the Bind-it-All. ... Don't have much time to write tonight, but I wanted to thank my volunteers today... you guys were great! Kathi, Jen, Cheryl, Mom, Andrea (and her fabulous Valentine chocolates she brought to us!) and my sister-in-law Gina ... thanks for your help! One more day to go... hope to see you there! ... Whew! I am sitting here with my feet up on the 'rents coffee table, relaxing after a VERY busy day! But it was an incredibly fun day for me. I saw so many familiar faces, was given countless hugs and was reminded again of why I love this industry... forget handshakes... gimme a hug, girl! 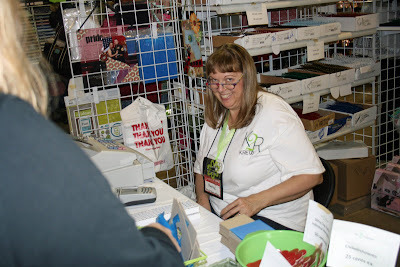 And a HUGE thank you to my volunteer Krew: Cheryl, my make and take guru, Kathi and Jen, my fabulous classroom experts, my Dad, Mark, who was gracious enough to put in a few hours when my booth was busier than we could handle ourselves, and my Mom, Nancy, my cashier comerade. I couldn' have done it without you guys! 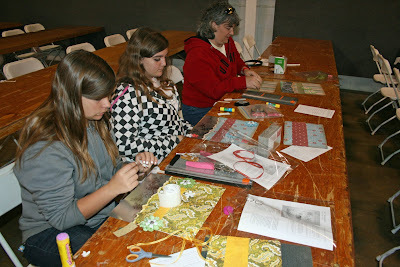 The "Imaginative Magnetic Metal class today at 9 a.m. 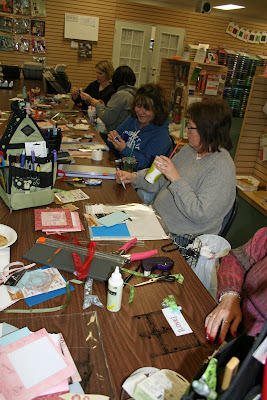 The "Great Times, Good Memories" class was overfilled! WOW! 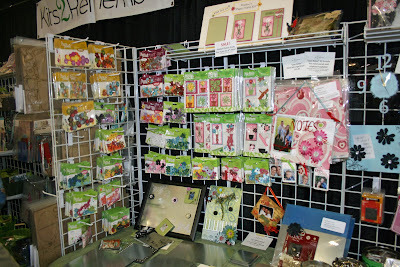 Part of the K2R booth, featuring Clear Scraps and Petaloo flowers. My Mom at her post. 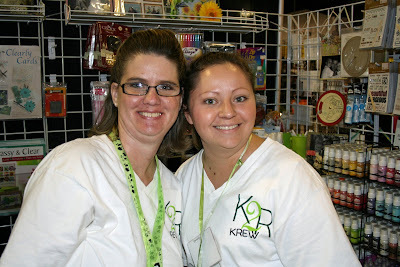 Kathi and Jen were all smiles - even at the end of the day! 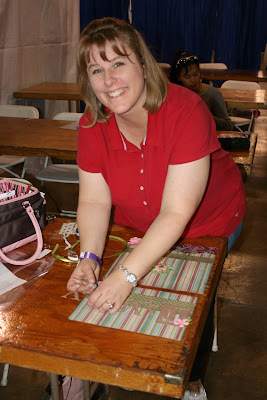 Cheryl, the make and take queen! 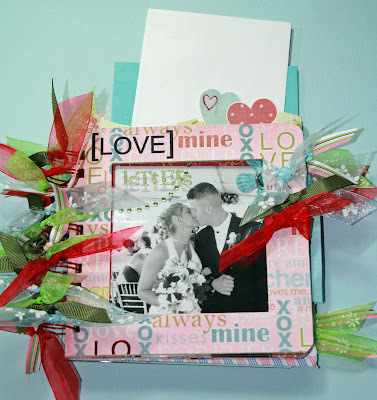 This is a 12 x 12 album I created using some beautiful appers from Creative Imaginations. A photo really doesn't do it justice since the cover is actually created from four different layers. 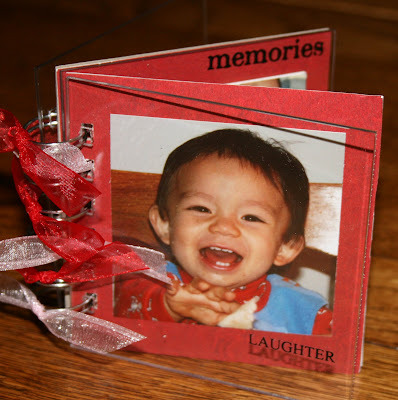 This small gatefold album was creted with a 4 x 6 acrylic panels as the back cover, and then 3 x 4 acrylic panels as the pages and cover. 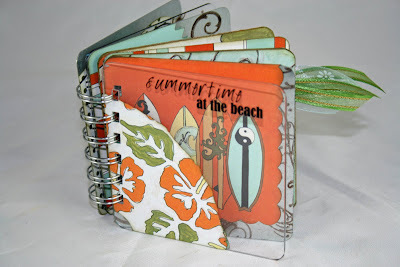 I, of course, used my favorite flourish stamp from Tim Holtz' collection by Stampers Anonymous. 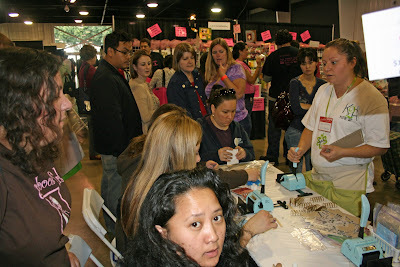 A great group of ladies ... by the way, Scrapbook Boulevard will be at the Expo, too, with plenty of 7Gypsies and Glimmer Mist, so be sure to check them out! 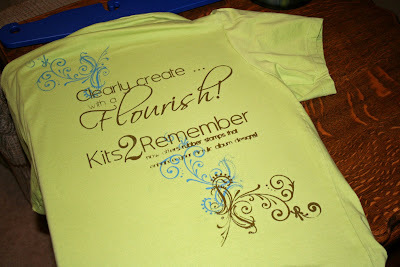 Here is a sneak peek at the make and take we will have in the Kits2Remember booth. 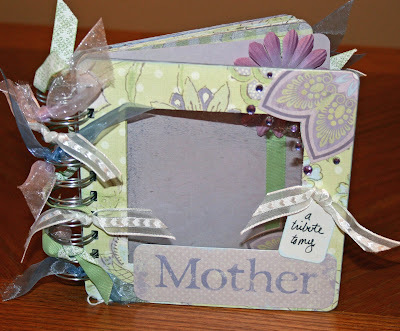 It's only $4 and it is similar to our very popular make and take last year, but with some differences, so come check it out! Valentine themes available while supplies last! As promised, here is a photo of our new frame-happy metal panels. The new sizes are 8 x 10 and 11 x 14. 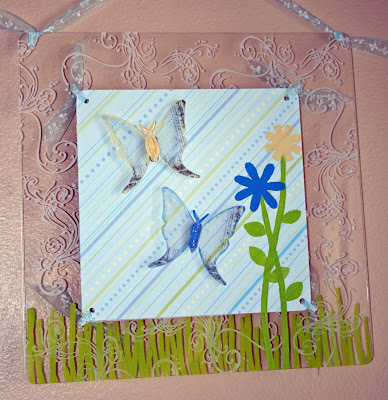 This is one of the 11 x 14's in an inexpensive frame from JoAnn's. The magnets are created from Teresa Collins' chipboard charms and Petaloo's faux leather flowers. K2R will have a large selection of Petloo's products, so if you're into flowers (and who isn't?) stop by and have a look at what we've got! And, last, but not least, a huge thanks to my hubby, who arranged (with the 'rents help!) 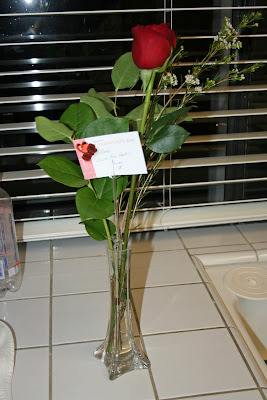 to have a rose delivered to me... thank you, baby! You made my day! 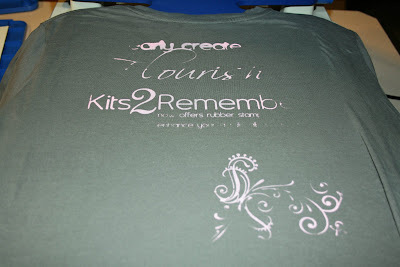 Check back tomorrow for more previews of the new samples that will be on display in the K2R booth this weekend! 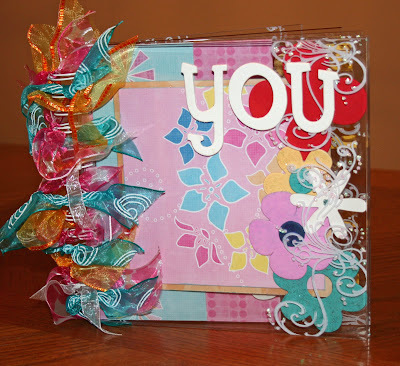 "My tip....I love to mix Diamond Glaze with the acrylic paint or even powdered pigment inks. 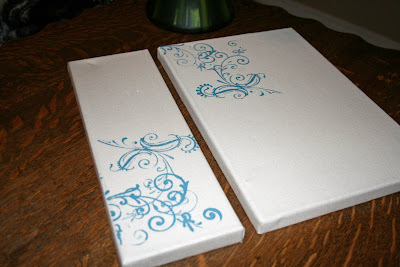 When they're "painted" onto acrylic they will never scratch like just paint will. 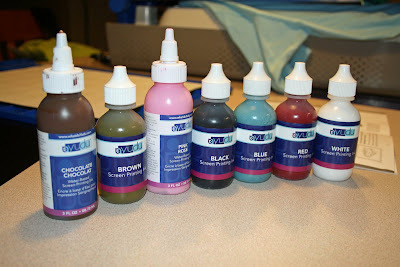 You don't need very much Diamond Glaze, it dries very quickly, and you can still custom mix your colors. That's my favorite technique." Thanks, Christy! 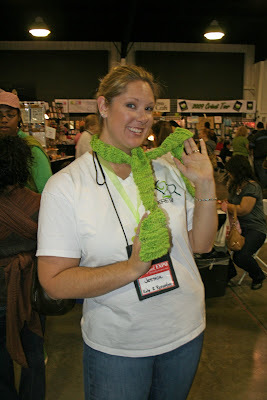 If you want to learn more about Christy and her ideas, check out her blog at www.christyscloset.blogspot.com. 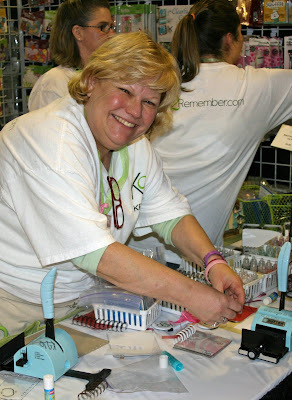 To thank her for her idea, I will be sending her a sampling of Kits2Remember products. Do you have a KrewTip to share? 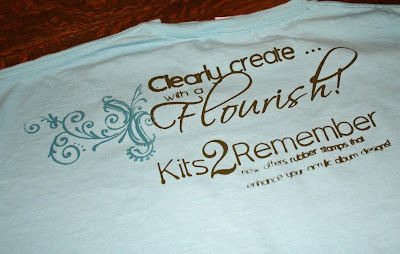 Just email it to me at jessica@kits2remember.com, with "KrewTip" in the subject line. 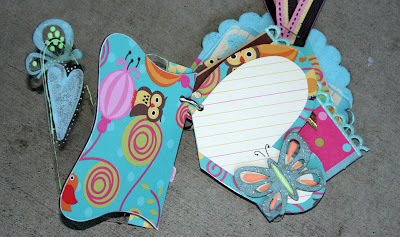 If your KrewTip is selected to be published on this blog, I will snail mail you some product! ... as promised, here are some more project samples I have been working on for the upcoming Orange County Scrapbook Expo this weekend. 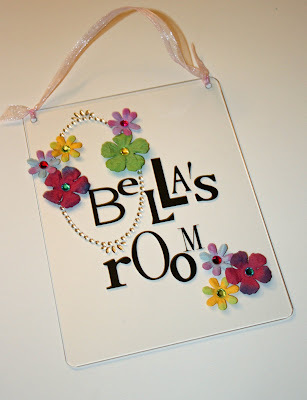 But the stadium albums don't just have to be used for albums... here is a wall hanging I created with a 6-inch stadium album and o-rings ... perfect for any home's decor! Two new sizes of metal will also be debuted this weekend: 8 x 10 and 11 x 14, perfect for using in standard frames. 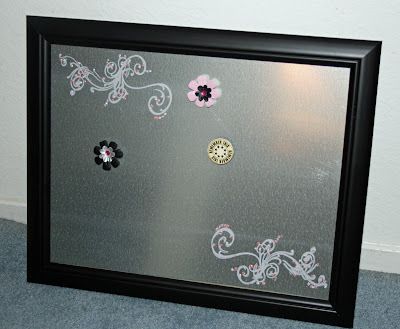 Just remove the glass and add magnets for great message boards! Plus, we have all the same scrappy sizes we launched this fall. 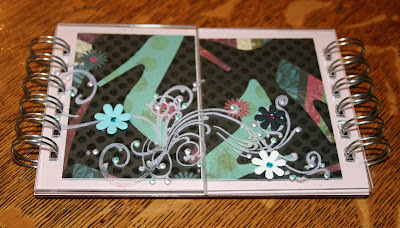 Here are two albums I created mixing the metal with acrylic and chipboard. I really like the mirror effect the metal gives in the "Today" album. 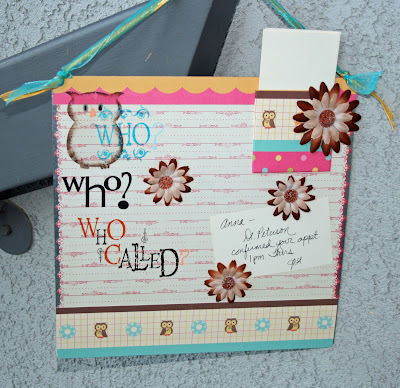 I really fell in live with this owl paper from My Little Shoebox and thought it would be a great theme for a message board... so I took a piece of 12 x 12 metal and created "Who? Who? Who called?" 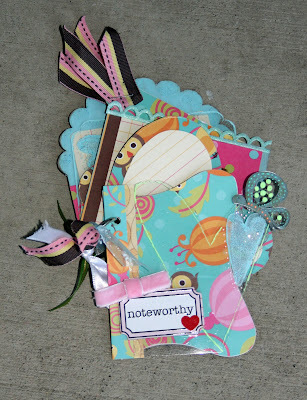 The acrylic owl in the corner came from a Clear Scraps Mini, which will also debut at the Scrapbook Expo. 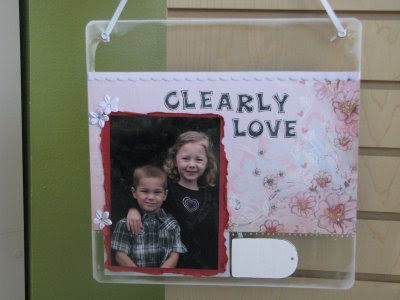 And speaking of Clear Scraps, I had time to play with the Clear Scraps Clear-n-Chip "Abbey's Love" collection. These mixed media and mis-matched shapes were just way too much fun! 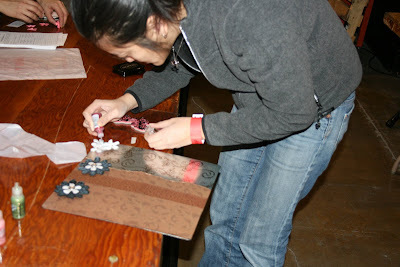 And I did have enough product left over from this project to create a second one. 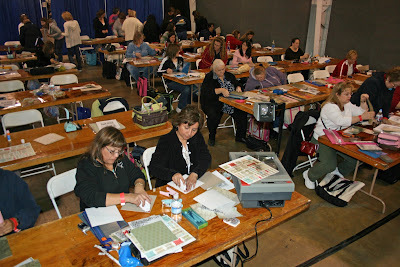 Orange County Scrapbook Expo only a week away!